The financial industry is a highly competitive and male-dominant environment. The nature of the job is to find a way to win and to never appear weak. While many women thrive in this industry, some are held back from their goals by sexual and gender harassment. This can range from sexist jokes and inappropriate behavior to being passed over for jobs or opportunities because of gender. This kind of activity is illegal and violates a worker’s employment rights. While your employer or colleagues may have created a culture that makes it unthinkable to report such violations, you have rights. Standing up for your employment rights shows strength and demonstrates that you take your goals and career seriously. At Bracamontes & Vlasak, P.C., our attorneys are skilled in handling sexual harassment cases in complex and intimidating environments. We will provide a confidential and discreet evaluation of your case and the options available to you, giving you the legal information you need to make the best decisions for yourself and your career. If you choose to file a claim, we will fight on your behalf to protect your employment rights as well as your future career opportunities. If you have experienced sexual or gender harassment in the workplace, please Contact our law offices today for a confidential consultation. 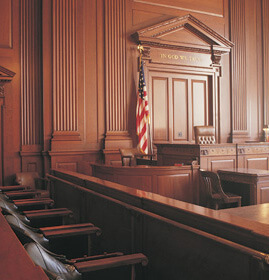 Our lawyers are known throughout the San Francisco and Bay Area for their ability to get results for clients. We are skilled in negotiation and litigation, never backing down from a difficult case or intimidating clients. Our firm will fight for your rights. Sexual harassment claims are not limited to women. Many men find themselves in difficult and uncomfortable work environments that limit their potential and block room for advancement. We strive to provide the legal solutions needed to resolve these issues and clear the way to future career growth.